Forget what you may have heard about robots being best for large volume production. Don’t be so sure you’ve seen it all when it comes to robotic welding. It’s time to re-think when and how to use robots for fabricating, especially if your company produces large or complex parts in small batches. 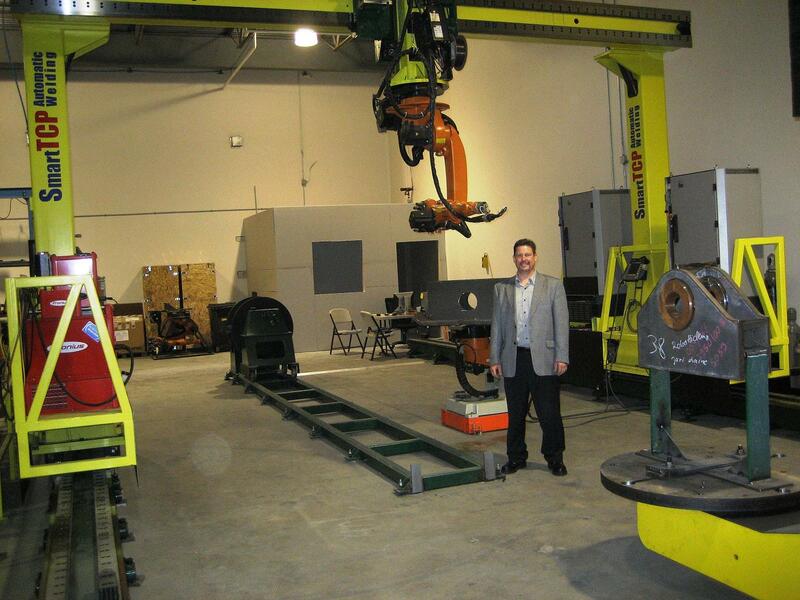 I had the good fortune to visit with Efi Lebel, CEO of SmartTCP, an RIA supplier member in Farmington Hills, Michigan, and get a look at a new kind of gantry welding package. They’ve taken all the heavy lifting out of programming and created a complete welding package that can pay for itself in 18 months based solely on direct labor savings, he tells me. First he showed me how the programming works and it was almost like magic. I’m not an expert on such matters, but he assured me that even professionals with plenty of experience often find it amazing. The software automatically creates welding paths based on your CAD model and generates a program to download to the robot. To me, the information on the screen seemed to be presented in a very simple, easy-to-understand manner. By now, most of us are familiar with simulation and offline programming, so I doubt I’ve impressed you yet, but it’s not really about the special effects. After explaining the software in more technical detail than I can reproduce here, Efi took me in back to see the SmartTCP welding machine bolted to the floor. As great as visuals can look on a laptop, the actual environment for welding is where parts and setups diverge from ideal representations in a computer. And SmartTCP is more than a programming aid. What I saw was a Kuka robot hanging from a Güdel gantry in a clean design that incorporates 14 axes including three positioners, plus a half-mile of cables tucked away from view. It may look Spartan, but it is made to crank out a great weld and has plenty of little innovations. I asked if there was vision or other feedback devices to calibrate the robot so it can adjust to the actual part. You’ll have to ask Efi exactly how this works, but he explained that the robot locates the part, adjusts for variations between the program and the actual geometry, and in less time than you can tell, starts to weld. Thanks to 11 axes at any of the three working zones, the robot can hold the weld gun at exactly the same, precise angle for all the seams, something no person could ever do. From shipyards to heavy industry and beyond, this robotic welding package is breaking the rules by targeting those who aren’t pumping out volume, but whose fabrication process is complicated, the parts big or complex and the problems unique. Check them out at www.smarttcp.com. This entry was posted on Monday, August 6th, 2007 at 12:37 pm and is filed under Robot Industry Stars, Uncategorized. You can follow any responses to this entry through the RSS 2.0 feed. You can leave a response, or trackback from your own site. This gum has green Green Coffee Bean Extract in the cool down phase. It may be more advisable to use it. One of the most common method of ingestion. entire safe, or having it knocked down if it’s larger. You will be required to follow certain procedure to get the vault and firearm and in addition to the government provides some of the accessories like gunlock etc.